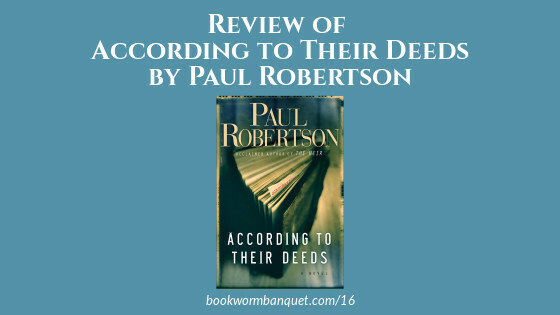 JD and Nicole feature the novel According to Their Deeds by Paul Robertson in the review segment of this episode. This is a fantastic thriller/suspense novel with some great heartfelt moments written in a beautiful literary style. And since the main character is a bookshop owner, there are lots of little tidbits scattered throughout the story for the bookworm to enjoy. But before the review, the hosts chat about how bookworms mispronounce words that they read before ever hearing them. Also in this episode is Nicole's Fact about a book of epic proportions and JD's Tip about a great item for the bookworm who likes the outdoors. Purchase According to Their Deeds on Amazon. ...is about a book of epic proportions. ...is a great item for the bookworm who likes the outdoors. Today’s episode is brought to you by Adagio Teas. If you’d like a $5 coupon that is redeemable toward your first purchase, send an email to feedback@bookwormbanquet.com with the word “TEA” in the subject line and we’ll email your coupon to you.